Make Baby's First Thanksgiving Memorable With These Homemade Baby Food Recipes Containing All Of Your Favorite Thanksgiving Foods. 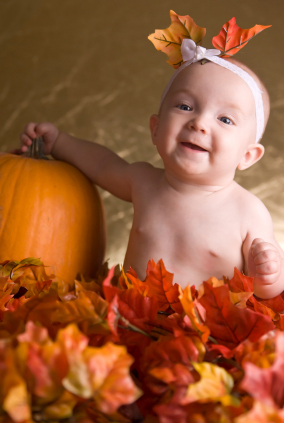 We have plenty of great homemade baby food recipes for baby's first Thanksgiving. After all, Thanksgiving is all about spending time with family, giving thanks and eating delicious foods. There's the turkey, stuffing, sweet potatoes, mashed potatoes--your list just goes on and on, right? Let your young eater in on the fun with a few easy dishes that are perfect for beginning eaters. You've planned every part of Thanksgiving carefully, selecting the dishes and place settings with care. You've got the food all planned out. Grandma's making your favorite stuffing. Aunt Carol is bringing her infamous pecan pie. But what about the babies? They can have an awesome eating experience without breaking any of the new-eater rules. And really, it won't be too much more work for you. Sounds like a lot for you and the kids to be thankful for. Does your family like to start off Thanksgiving dinner with fruit cup? Or perhaps some shrimp cocktail? What about soup served in a pumpkin? Whatever your favorite is, this soup is a perfect starter (or dinner!) for baby. Place all the ingredients in a pot, filling up with enough water to cover the veggies and fruit. Bring to a boil and cook until everything is tender. Using an immersion blender, puree the soup. Freeze any leftovers in ice cube trays for easy defrosting. Get tips on freezing and storing baby food here! Carrots? Potatoes? They are quintessential Thanksgiving foods that you are probably already making. Reserve a few of each to make an easy baby food puree that will have your little guy or gal singing goo goo gah gah! Add the carrot, potato and peas to the bowl or a blender or mini-food processor. Process until smooth. To thin the puree, add a little bit of water. If desired, you can also season with a tiny pinch of salt and pepper. Sweet potatoes, mini marshmallows. Those are the things that the traditional sweet potato casserole is made of. But that is just too much for little bodies -- and heck, it's too much for some big bodies too! Include the little ones in eating this traditional dish by serving up some lightly spiced sweet potato puree. They'll love it. In a saucepan filled with water, boil the sweet potato until tender. Drain the water, reserving a little to the side) and return the sweet potato to the pan. Add a pinch of cinnamon and nutmeg. Then just a potato ricer to mash the sweet potato to your desired texture. If necessary, add a tablespoon or two of water to loosen the puree. Whatever you don't use can be frozen in portions using an ice cube tray. Once solid, transfer to a resealable bag. Another must of Thanksgiving: green bean casserole. But that's just not the right thing for baby. Instead, grab some fresh green beans and make this dish just for them. Cut the green beans into 1-inch lengths and place in a saucepan. Add chicken stock (fill to about half way between the bottom of the pan and the top layer of beans). Boil until tender. 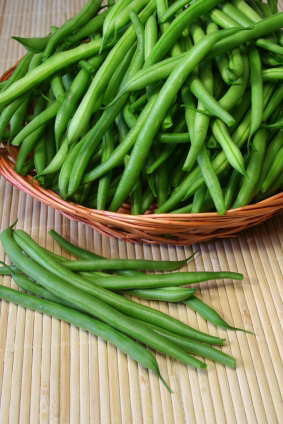 Transfer green beans and stock to a blender and blend until smooth. Who says that baby can't have a little dessert too? This easy puree takes just seconds to make. Whisk together equal parts pumpkin puree and apple sauce. If desired, add a sprinkle of cinnamon as well. Serve and enjoy.